It was another difficult day at the Allstate Sugar Bowl Intercollegiate on Tuesday with high winds and steady rain throughout. But that didn’t stop Auburn sophomore Julie McCarthy from closing strong and putting together another solid round. McCarthy, who shot up the leaderboard Monday with a 69 (-3), finished the tournament in a tie for third overall at 1 over par after shooting a 72 (E) with four birdies in Tuesday’s final round, while Olivia Mehaffey finished just outside the top 10 in T11 position after a final round of 74 (+2) saw her move up three places on the leaderboard. 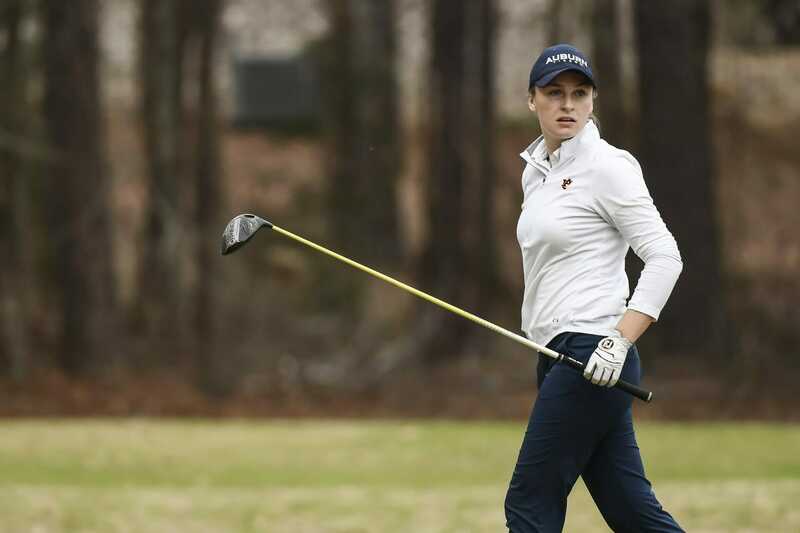 Thanks to McCarthy and fellow sophomore Mychael O’Berry, who also shot a 72 (E) on Tuesday, the Auburn Tigers closed out the final round with a 299 (+11) to finish 7th out of 18 teams, with Mehaffey’s Arizona State Sun Devils finishing in T13 place.